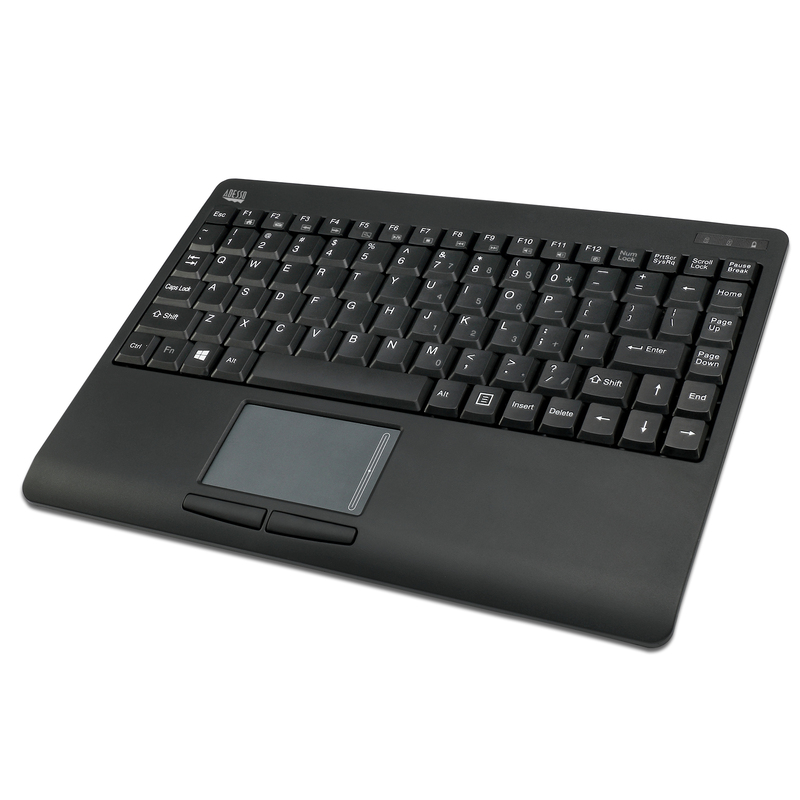 The Adesso SlimTouch™ 4110 Wireless Mini Touchpad Keyboard offers its user a unique typing experience with its portability and built-in touchpad. With the 2.4GHz wireless technology and its compact sizing this keyboard is truly a space saver. 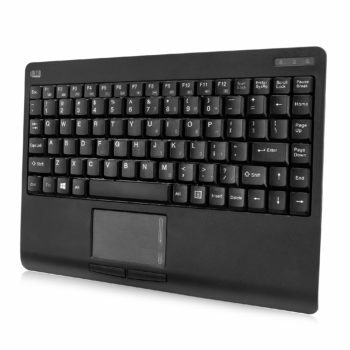 It also eliminates the need of a mouse because it’s got a built-in touchpad. 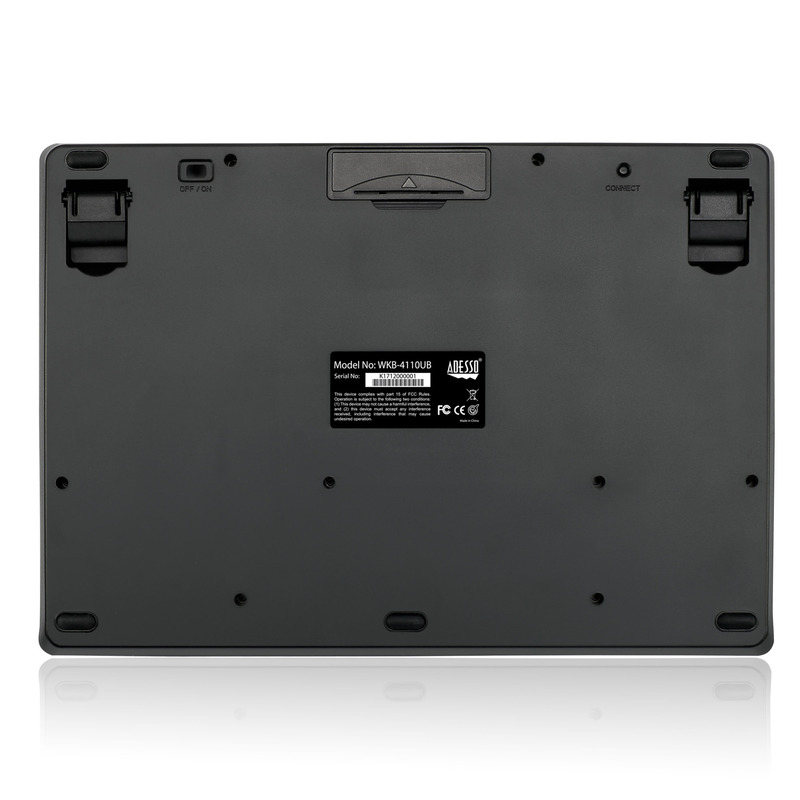 With the power ON/OFF switch users are able to preserve battery power extending its usage period. 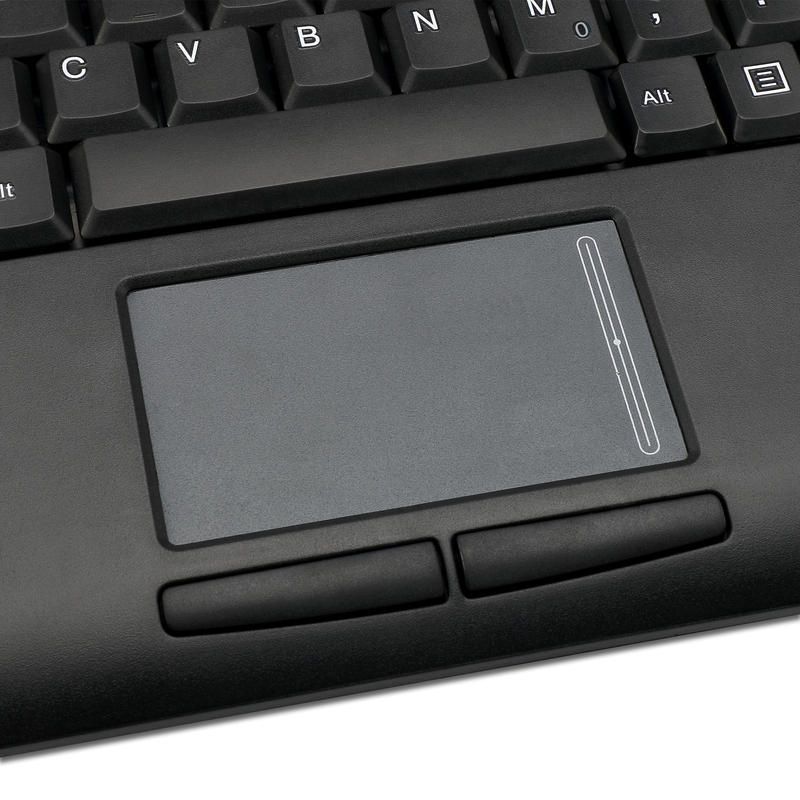 Last but not least, its membrane key switch offers a lifecycle of up to 5 million keystrokes. 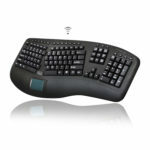 This 2.4GHz wireless device fits perfectly with your computer and allows you to work freely with no space constraints of wires, offering 30 feet (10m) of wireless freedom. 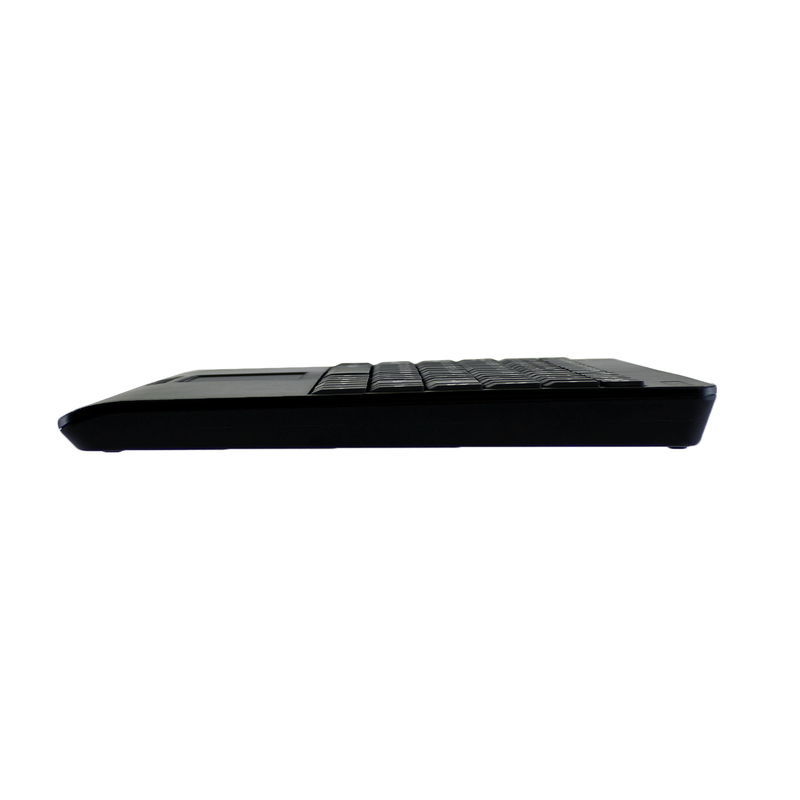 This touchpad offers the same great functions of traditional touchpad along with advanced multi-touch gestures, to control your device and applications easier and with minimal hand strain. Use two fingers to Pinch Zoom In or Out, Scroll, Drag or Rotate; three finger options include Swipe Backward or Forward. 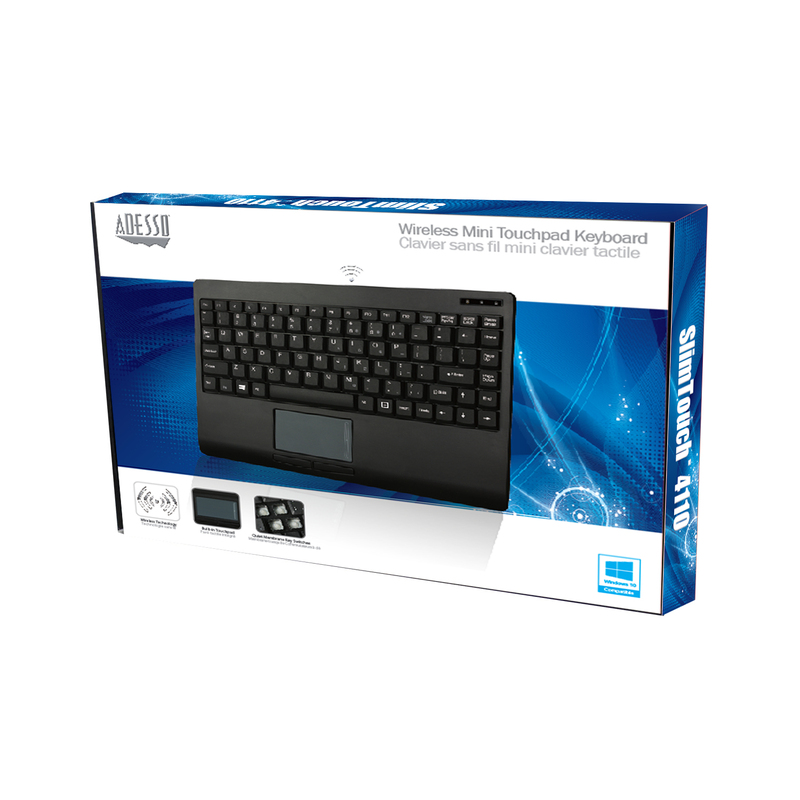 The Power ON/OFF Switch allows users to turn keyboard power off when keyboard is not in use, saving and extending battery life. 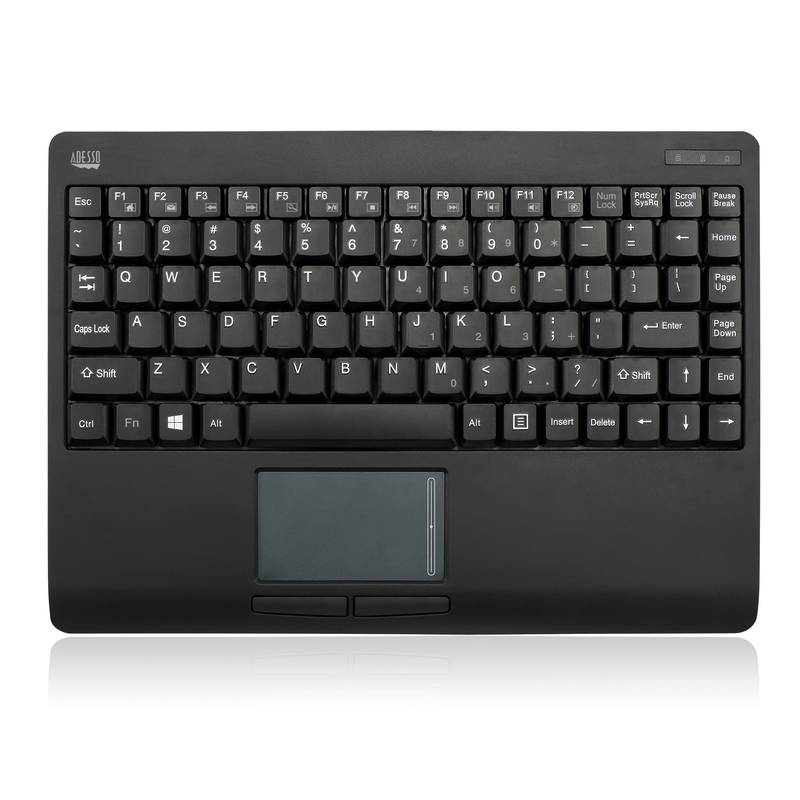 The Connect button quickly makes keyboard’s 2.4GHz RF signal available for simple pairing to receiver. The quiet membrane keys offers you fast and comfortable typing and a lifecycle of more than five million keystrokes per key.